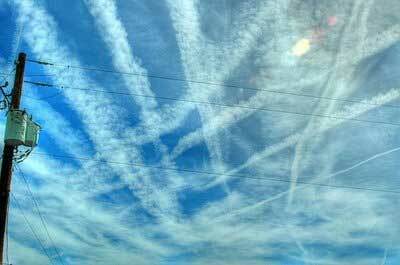 According to Hagberg, the sprayings are a joint endeavor by the U.S. Central Intelligence Agency (CIA) and the U.S. National Security Agency (NSA), as well as the Swedish government in her own country, to modify atmospheric conditions via deliberate aerosol spraying efforts. And included in this “dangerous” mix of aerosols are various chemical components, viruses and viral fragments, and metals such as aluminum and barium, which have already been shown to be accumulating in water supplies and soils around the world. Interestingly, the United Nations (UN) and various Bill & Melinda Gates Foundation-backed groups have recently been forced to admit that such sprayings are taking place, and that the emitted particles are not normal contrails. 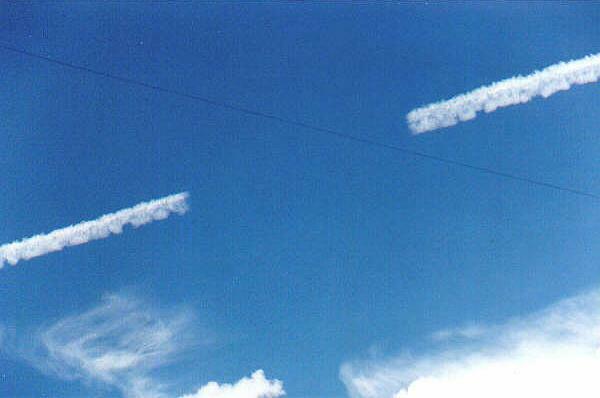 But their excuse for why chemtrail sprayings are being done is that they will somehow save the planet from the devastating effects of so-called “global warming,” that ever-present, pseudoscientific environmental theory that is often used as justification for all sorts of outlandish policy proposals. Be sure to check out the documentary What in the World are They Spraying?, as well as its sequel, Why in the World are They Spraying?, to learn more about the global chemtrail phenomenon. Both full-length films can also be found for free viewing on YouTube. In a world where national sovereignty is rapidly becoming a thing of the past, announcements that the United Nations will be taking the lead on any variety of topics is no longer shocking. Indeed, there is a real push across the world to view the United Nations as the ultimate authority on virtually every issue, from human rights to nutritional content in food. Through decades of propagandizing, the United Nations has developed an undeserved reputation for humanitarianism and democracy. As a result, the vast majority see the United Nations as a benevolent organization which they can call on to defend human rights in their home countries. Unfortunately, national sovereignty rarely enters into the equation anymore, as the average citizen tends to look straight to the United Nations to address their concerns, bypassing their own governments. As case in point, a recent report by AFP, entitled, “Experts urge U.N. to address mental health,” discusses how a recent article in PLoS Medicine, a reputable medical journal, has called for the United Nations General Assembly to develop a plan to tackle mental, neurological, and substance-abuse disorders (MNS). Scientists are now recommending that mothers delay vital breastfeeding in order to ‘improve’ the effects of vaccinations, stating that consuming breast milk could hamper the potency of vaccinations such as the rotavirus injection. The authors state that the immune-boosting effects of breast milk could negatively affect the vaccine potency. Of course the authors make no mention of the relationship between vaccination and over 189 diseases as observed by peer-reviewed research. In a study published in the Journal of Pediatric Infections & Diseases that anyone can freely read, scientists say that breastfeeding should be halted to improve vaccine effects (which include negative effects). The advisory is specifically targeted towards developing and poor nations, as is the norm with massive vaccination campaigns funded by the likes of the Bill Gates Foundation and the United Nations. Perhaps most startling is the fact that children in these nations oftentimes rely on breast milk as the only source of quality nutrition, yet the recommendation states that this is a desirable effect. In fact, a weakened immune system is just what the scientists are looking for to increase the potency and ‘effectiveness’ of the vaccine. Antibodies from women with a rare condition known as immune infertility are used in the creation of GMO food. (LONDON) – There has been a concerted national effort by citizens to have the US government label GMOs. Opposing it are government intent not only to keep them unlabeled in the US but efforts at the international level by the US government to remove all labeling of GMOs through Codex. The problem is that Codex applies to food, and GMOs don’t qualify. William Engdahl wrote in March of 2010 about a USDA funded project to create a GM corn that sterilizes people. Hein explained that they had taken antibodies from women with a rare condition known as immune infertility, isolated the genes that regulated the manufacture of those infertility antibodies, and, using genetic engineering techniques, had inserted the genes into ordinary corn seeds used to produce corn plants. In this manner, in reality they produced a concealed contraceptive embedded in corn meant for human consumption. The questions raised by “[s]permicides hidden in GMO corn provided to starving Third World populations through the generosity of the Gates’ foundation, Rockefeller Foundation and Kofi Annan’s AGRA” are many and profound. If the USDA is funding the creation of a corn crop that sterilizes, is it not committing a crime in poisoning those who are on the receiving end? And according to the UN, is it not also committing genocide, a crime against humanity, in damaging the reproductive ability of any group?